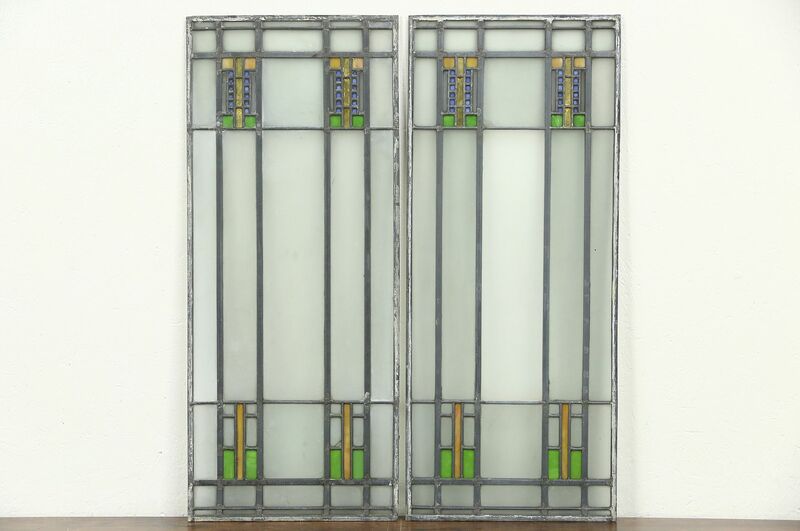 A pair of leaded and stained glass windows from the Arts and Crafts period about 1910 are architectural salvage. There are small hairline cracks in the hand leaded glass, see photos. These American made Craftsman antiques measure 16" wide, 38" tall and 1/4" thick.